TRENTON –Attorney General Christopher S. Porrino announced that nine additional individuals have been charged criminally with filing fraudulent applications for federal relief funds related to Superstorm Sandy. Since March 2014, the Attorney General’s Office has filed criminal charges against 71 people for allegedly engaging in this type of fraud, including the nine individuals charged today. The Attorney General’s Office is continuing its aggressive efforts to investigate fraud in Sandy relief programs, working jointly with the New Jersey Department of Community Affairs (DCA), and the Offices of Inspector General of the U.S. Department of Homeland Security, the U.S. Department of Housing and Urban Development (HUD), (and) the U.S. Small Business Administration (SBA), and the U.S. Department of Health and Human Services (HHS). Also assisting the taskforce is the New Jersey Division of Consumer Affairs, the New Jersey Motor Vehicle Commission, and the non-profit National Insurance Crime Bureau (NICB). The individuals who have been charged are alleged, in most cases, to have filed fraudulent applications for relief funds offered by the Federal Emergency Management Agency (FEMA). In many cases, they also applied for funds from a Sandy relief program funded by HUD, low-interest disaster loans from the SBA, or assistance provided by the New Jersey Department of Human Services. The HUD funds are administered in New Jersey by the Department of Community Affairs. In addition, one of the new cases involves a motel owner who allegedly fraudulently stole more than $80,000 in funds from a program in which FEMA directly paid hotels and motels for housing residents displaced by Superstorm Sandy. 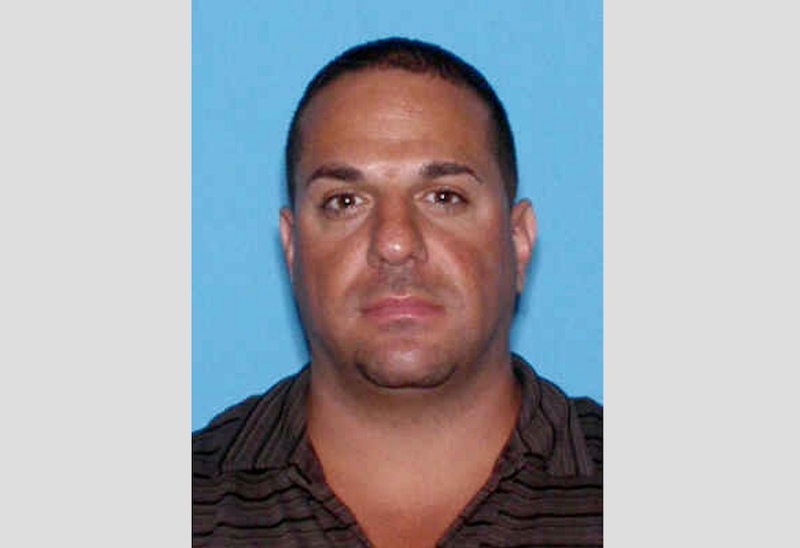 Jerry Gustoso II, 44, of Hoboken, N.J., allegedly filed fraudulent applications following Superstorm Sandy for FEMA assistance, a low-interest SBA disaster-relief loan, and state grants under the Homeowner Resettlement Program (RSP) and the Sandy Homeowner and Renter Assistance Program (SHRAP) funded by the New Jersey Department of Human Services. As a result, he received a total of approximately $213,234 in relief funds. It is alleged that Gustoso falsely claimed in his applications that a home he owns on Cedar Run Road in Bayville, N.J., which was damaged by Superstorm Sandy was his primary residence at the time Sandy struck. It is alleged that, in fact, his primary residence was in Hoboken, and the Bayville home was a seasonal vacation home. As a result of the alleged fraudulent applications, Gustoso received $2,270 from FEMA, $186,800 in SBA loan proceeds, a $10,000 RSP grant, and SHRAP funds totaling $14,164. Gustoso is charged with second-degree theft by deception and fourth-degree unsworn falsification. 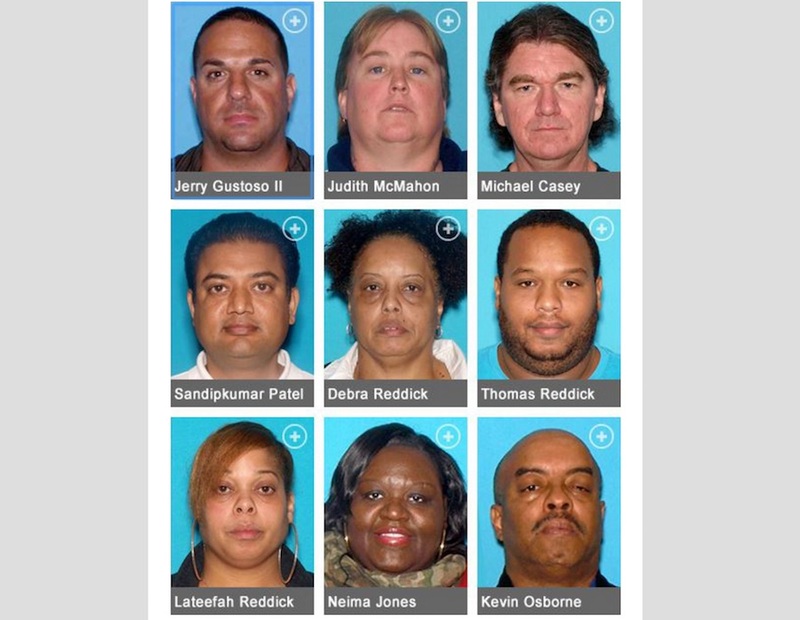 These five related defendants are each charged with third-degree theft by deception for filing fraudulent applications for assistance after Superstorm Sandy:Debra Reddick, 58, of Newark, her son and daughter, Thomas Jamar Reddick, 34 of Newark, and Lateefah Reddick, 38, of East Orange, Debra Reddick’s niece Neima Jones, 32 of East Orange, and another relative of Debra Reddick,Kevin Osborne, 55, of Newark. Thomas Jamar Reddick, who also is charged with fourth-degree unsworn falsification, allegedly obtained FEMA assistance of $4,232 and a state grant of $10,000 under the Homeowner Resettlement Program (RSP) by fraudulently claiming that a storm-damaged property he owns on North 4th Street in Newark was his primary residence at the time of the storm, when in fact he was living in Hillside, N.J. Each of the other defendants allegedly stole relief funds by submitting fraudulent applications under the Sandy Homeowner and Renter Assistance Program (SHRAP) funded by the New Jersey Department of Human Services. In each case, those defendants allegedly submitted fraudulent lease documents – and, in some cases, fraudulent bills for rent or utilities – in order to receive funds as renters of storm-damaged properties, when it is alleged that either the defendant was not paying rent for the property, the defendant was not renting the property from the landlord listed, the property was not damaged, the defendant did not live at the address given, or a combination of those facts. It is alleged that Debra Reddick fraudulently received $4,330 in SHRAP funds, Lateefah Reddick received $7,629, Jones received $6,556, and Osborne received $6,016. Michael J. Casey, 51, of Point Pleasant, N.J., allegedly filed fraudulent applications following Superstorm Sandy for FEMA assistance and state grants under the Homeowner Resettlement Program (RSP) and the Reconstruction, Rehabilitation, Elevation and Mitigation (RREM) Program. As a result, he received a $10,000 RSP grant. In addition, as a result of the alleged false applications, he was awarded $77,000 in RREM monies and a $2,270 FEMA grant. The RREM and FEMA funds were never disbursed, but Casey is charged with attempted theft in connection with those amounts. Casey allegedly falsely claimed in his applications that a home he owns on Parkway Avenue in Point Pleasant which was damaged by Superstorm Sandy was his primary residence when Sandy struck. In fact, his primary residence at the time allegedly was a second property he owns on Harvard Avenue in Point Pleasant. The property on Parkway Avenue was dilapidated and deserted prior to the storm, and it did not have any utilities. Casey allegedly also fraudulently submitted a lease and rental receipts indicating that he paid rent to live with his mother in New Brunswick after being displaced by the storm. It is alleged that, in fact, he did not pay rent to his mother. Casey is charged with second-degree attempted theft by deception, third-degree theft by deception and fourth-degree unsworn falsification. Judith McMahon, 47, of Manahawkin, N.J., allegedly fraudulently obtained a total of $18,292 by filing false applications following Superstorm Sandy for FEMA assistance. McMahon allegedly submitted a false lease indicating that she was paying more than $1,500 per month for a property in Neavitt, Maryland, that she purportedly leased after being displaced by the storm. In fact, she had been renting that property in Maryland since 2010. It is alleged that McMahon falsely identified the landlord in the lease she submitted, and she also submitted fraudulent rental receipts purportedly issued by the person she identified as the landlord. She allegedly received four separate payments from FEMA for rental assistance totaling $18,292 as a result of the fraudulent documents she submitted. McMahon is charged with third-degree theft by deception. Sandipkumar Patel, 43, of Edison, N.J., allegedly fraudulently obtained more than $81,567 from the FEMA Transitional Shelter Assistance (TSA) program. Under the TSA program, FEMA directly paid participating hotels and motels for rooms temporarily occupied by residents displaced by the storm. Patel owns the American Motel on Route 166 in Toms River, N.J., with his wife. FEMA paid the motel $133.28 per day for each room occupied by storm victims. It is alleged that Patel fraudulently billed FEMA a total of $81,567 in the names of 11 individuals. Eight of the individuals allegedly never stayed at the motel at all, while the other three allegedly stayed for shorter periods or, in one case, shared a room that Patel already had billed to FEMA in the name of the other occupant. In some cases, Patel allegedly falsely billed for stays of multiple weeks or even months. He allegedly billed FEMA more than $50,000 in the names of several of his personal relatives who live in New Jersey but who were not displaced by the storm. Patel is charged with second-degree theft by deception. The new cases were investigated by detectives of the New Jersey Division of Criminal Justice and special agents of the U.S. Department of Homeland Security Office of Inspector General, HUD Office of Inspector General, (and) SBA Office of Inspector General and HHS Office of Inspector General. Deputy Attorneys General Norma R. Evans, Anthony P. Torntore, Valerie A. Noto and William N. Conlow are prosecuting the new defendants under the supervision of Deputy Attorney General Michael A. Monahan, Chief of the Financial & Computer Crimes Bureau, and Deputy Attorney General Mark Kurzawa, Deputy Bureau Chief. They are working with Lt. David Nolan, Sgt. Fred Weidman and Analyst Alison Callery, who are conducting and coordinating the investigations for the Division of Criminal Justice, along with others, including Detectives Terrence Buie, Michael Arduini, Mark Byrnes, Richard Loufik, Roxanna Ordonez and Special Civil Investigators Rita Binn, James Parolski, and Vicki Vreeland. Second-degree charges carry a sentence of five to 10 years in state prison and a fine of up to $150,000. Third-degree charges carry a sentence of three to five years in state prison and a fine of up to $15,000, while fourth-degree charges carry a sentence of up to 18 months in state prison and a fine of $10,000. The charges are merely accusations and the defendants are presumed innocent until proven guilty. On Oct. 29, 2012, Superstorm Sandy hit New Jersey, resulting in an unprecedented level of damage. Almost immediately, the affected areas were declared federal disaster areas, making residents eligible for FEMA relief. FEMA grants are provided to repair damaged homes and replace personal property. In addition, rental assistance grants are available for impacted homeowners. FEMA allocates up to $31,900 per applicant for federal disasters. To qualify for FEMA relief, applicants must affirm that the damaged property was their primary residence at the time of the storm. In addition to the FEMA relief funds, HUD allocated $16 billion in Community Development Block Grant (CDBG) funds for storm victims along the East Coast. New Jersey has received $2.3 billion in CDBG funds for housing-related programs, including $215 million that was allocated for the Homeowner Resettlement Program (RSP) and $1.1 billion that was allocated for the Reconstruction, Rehabilitation, Elevation and Mitigation (RREM) Program. Under the Resettlement Program, the New Jersey Department of Community Affairs is disbursing grants of $10,000 to encourage homeowners affected by Sandy to remain in the nine counties most seriously impacted by the storm: Atlantic, Bergen, Cape May, Essex, Hudson, Middlesex, Monmouth, Ocean and Union counties. The RREM Program, which is the state’s largest housing recovery program, provides grants to Sandy-impacted homeowners to cover rebuilding costs up to $150,000 that are not funded by insurance, FEMA, U.S. Small Business Administration loans, or other sources. The Small Business Administration provides low-interest disaster loans to homeowners, renters, businesses of all sizes, and most private nonprofit organizations. SBA disaster loans can be used to repair or replace real estate, personal property, machinery and equipment, and inventory and business assets damaged or destroyed in a declared disaster. Renters and homeowners may borrow up to $40,000 to repair or replace clothing, furniture, cars or appliances damaged or destroyed in the disaster. Homeowners may apply for a loan of up to $200,000 to replace or repair their primary residence to its pre-disaster condition. Secondary homes or vacation properties are not eligible for these loans, but qualified rental properties may be eligible for assistance under the business loan program. The Disaster Relief Act provided HHS approximately $760 million in funding for Hurricane Sandy disaster victims. The Administration for Children and Families (ACF) received approximately $577 million in Sandy funding through three grant programs, including the Social Services Block Grant (SSBG) program, which received nearly $475 million to help five states (New York, New Jersey, Connecticut, Rhode Island, and Maryland). New Jersey received over $226 million for a wide range of social services directly related to the disaster. New Jersey used SSBG funds to develop the Sandy Homeowner/Renter Assistance Program (SHRAP) to assist individuals/families with expenses for housing and other related needs. Reddicks, Jones and Osborne: State not notified of representation.